Last week, over 400 seafood professionals convened in Vancouver for the Global Aquaculture Alliance’s annual GOAL (Global Outlook on Aquaculture Leadership) conference. Here are our 4 key takeaways. 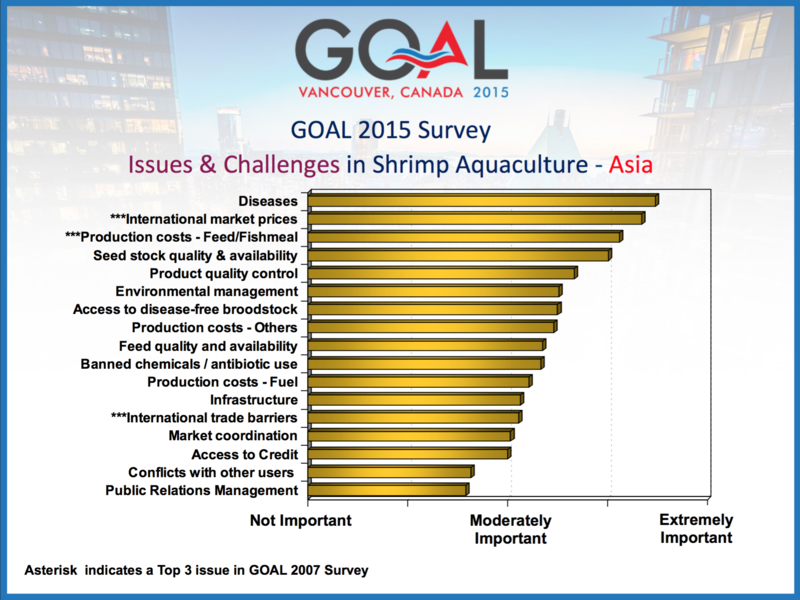 There is a documented consensus within the industry that diseases remain the main challenge aquaculture faces. The most disastrous of these diseases are EMS (Early mortality syndrome) and EHP (Enterocytozoon hepatopenaei) for shrimp and sea lice for finfish, notably salmonids. After Thailand was hit hard by EMS in 2013, the region has since seen significant recovery, with new methods being perfected and deployed to help prevent future outbreaks. The outlook now seems largely positive: “When the farmer understands the disease, you know you’ve got it whipped.” - Robins McIntosh, Senior VP, CP Group Co., Thailand. The GAA has set the ambitious goal of doubling aquaculture’s global production between 2010 and 2020 to meet the growing demand for seafood and expanding population. However, doubling aquaculture’s output also means doubling the amount of feed we use. Aquaculture is highly efficient at producing healthy protein, but also requires high-quality feed. 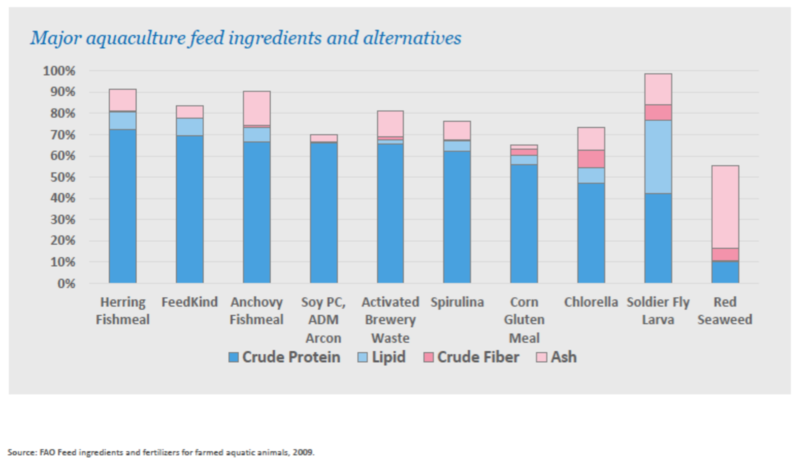 Wild fish protein used for feed is lacking, and land-based protein alternatives like soybean rely on an equally lacking resource: agricultural land. The R&D challenge is to create feed that is high in protein or fat, low in fiber and carbohydrates, and has minimal demand for new land and water resources. Alan Shaw of Calysta claims they have the solution: convert natural gas directly into food. Check it out. This was the first GOAL conference that included talks on social responsibility. The new focus on this issue undoubtedly stems from the numerous reports in recent years on the use of forced labour in the Thai shrimp industry, most notably on fishing boats that catch seafood for fishmeal. Industry buyers and representatives assembled in a panel to discuss the issue all agreed on the importance of exercising full control over the whole supply chain with regards to human rights, and The Shrimp Sustainable Supply Chain Taskforce is a promising initiative that aims to take the problem head on. The talks served as a strong reminder that sustainability is just as much about caring for our people as it is about caring for our environment. 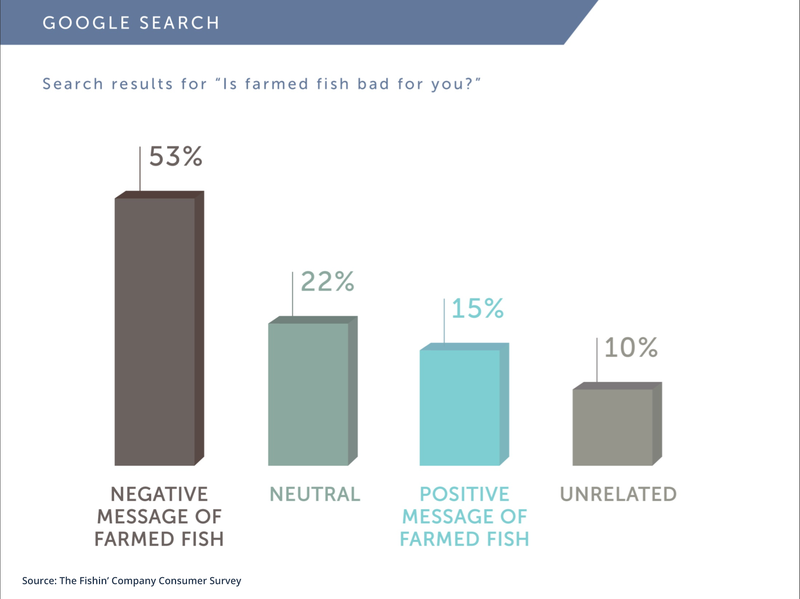 Despite widespread coverage of the health benefits of eating seafood, consumer perception of aquaculture is still a challenge.